Goodison Dental Wangaratta has 2 fully qualified Dental Therapists (Childrens Dentist) on their team to provide friendly and professional dental treatments to all our younger patients up to the age of 25. 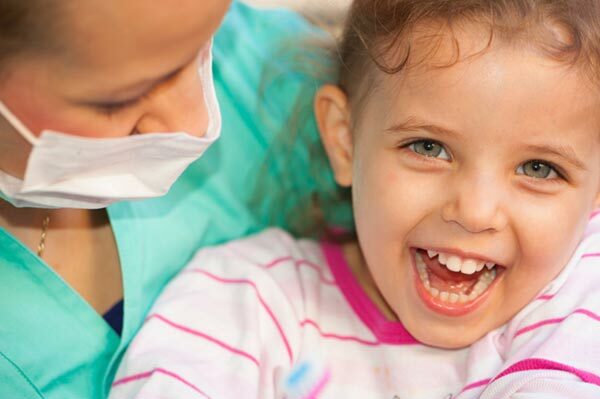 We also support the Medicare Childrens Dental Benefit Scheme (CDBS). We help parents raise cavity free children. With improved technology it may be possible to eliminate tooth decay in children. In other words, the unpleasant dental experiences of your youth do not have to be repeated on your children. We do everything in our power to make sure you are aware of the specific ways to prevent tooth decay for your child. What that means is you save money and your child remains healthy! We recommend fissure sealant treatment when your child’s first permanent teeth come through, usually at the age of 6-7 years and the 12 year old molars when they erupt. A fissure(or pit) sealant is a thin, plastic film that is applied to the chewing surfaces of back teeth creating a protective barrier which prevents food and bacteria getting into these teeth. This safe and painless technique thereby protects childrens’ teeth and prevents dental decay. We are often asked “What is the best age to bring my child in for his first dental visit?” We believe that a lifetime of healthy teeth and gums should start when the first tooth erupts. We encourage parents to bring their young children into our practice and show them around. Our practice holds a monthly raffle for all children who see our Dental Therapist during the month. The prize is a gift pack of age relevant dental products and goodies.